That bandana never leaves her head. 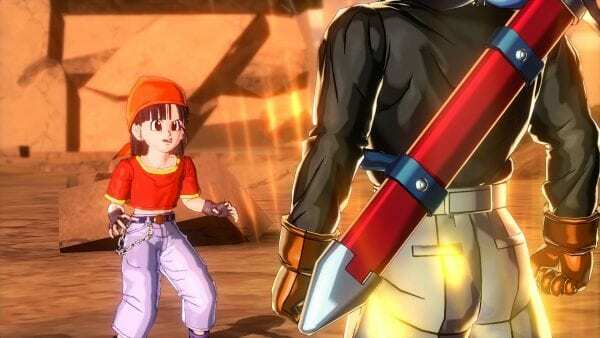 Gohan and Videl’s feisty daughter wants to be your mentor! The first part of Pan’s mentor quest in Dragon Ball XenoVerse is much like others in that you simply need to prove your strength by beating the ever loving crap out of the beloved Dragon Ball Z hero. Once you finish this one out of seven stars battle, you’ll get Pan as your mentor and potentially some rewards! That was easy, wasn’t it? Once you’re done, leave and level up to access Pan’s next mentor quest.